Here's a mind-bending effect that the animal rights agenda is placing on our next generation, and it's NOT funny! 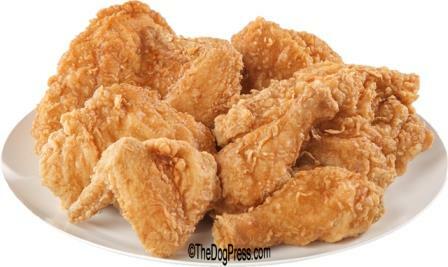 Our teacher asked what my favorite animal was and I said, "Fried chicken." She said I wasn't funny but she couldn't have been right, because everyone else laughed. My teacher sent me to the principal's office. I said "I do, too. Especially chicken, pork and beef." He laughed and then he told me not to do it again. The next day in class my teacher asked me what LIVE animal was my favorite. I told her it was chicken. She asked me why; so I told her it was because you could make them into fried chicken. She sent me back to the principal's office. He laughed and told me not to do it again. I don't understand. My parents taught me to be honest, but my teacher doesn't like it when I am. Today, my teacher asked me to tell her what famous military person I admired most. I told her, "Colonel Sanders." Guess where I am now... Again!!! Thanks to Hank in ABQ for the humor of the day.